The governmentwide Office of Special Counsel on Tuesday announced it was filing a complaint to protect an Interior employee who was fired after disclosing in 2012 assertions that the department violated the National Environmental Policy Act to facilitate oil exploration in the Arctic Ocean. Jeffrey Missal, a Regional Environmental Officer based in Anchorage, Alaska, had complained to Interior’s IG after getting little response from his direct supervisors. In 2014, he became the subject of an investigation by his superiors for unspecified misconduct on the same day that Missal was informed that Interior’s IG had launched an inquiry, according to the Special Counsel. Then in 2016, Interior fined him based on alleged misconduct found by the IG. He complained to the OSC, which successfully petitioned the Merit Systems Protection Board to stay his firing. OSC’s action prevented him from losing his home. In October 2017, OSC determined that Interior’s probe of Missal was launched in retaliation for his whistleblowing. It sought corrective action through a formal Report of Prohibited Personnel Practice, but the department declined. OSC filed a complaint with the MSPB to compel it to comply, and a hearing is likely. 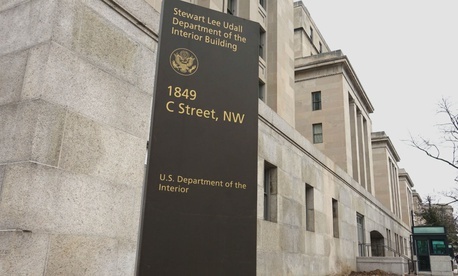 Separately, a retired employee of the Interior Department’s Bureau of Reclamation violated post-employment rules by working on issues related to his federal work while representing a new employer, a watchdog found. The unnamed employee in New Mexico, according to a July 25 inspector general summary just released, broke conflict-of-interest regulations when, on behalf of his new boss, he “participated personally and substantially” in matters he previously handled for the government. In reviewing four instances in which the ex-fed worked on the same issues he previously handled as a federal employee, investigators found that in one case “he represented his current employer on a biological assessment on which he had been the primary decision maker” while with the Bureau of Reclamation. In another, he was involved in the private-sector transfer of titles for levees about which he had communicated with his current employer while still at Interior. As a retiree, he also communicated back to the bureau about litigation surrounding water accounting methods. And he discussed litigation matters and attended meetings regarding a Bureau of Reclamation dam first as a department employee and then in the private sector. Though the retiree refused IG staff requests for an interview, his attorney filed a written rebuttal to all four allegations. On referral, the U.S. Attorney for the District of New Mexico declined to prosecute, and the matter has been turned over to Bureau of Reclamation Commissioner Brenda Burman.